Today at Computex Computer show in Taipei, ASUS has introduced 2 new Windows powered tablets that will be part of their wildly successful Eee line. 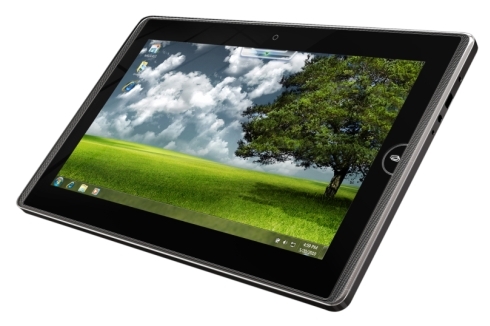 First off is the bigger 12 inch EeePad Ep121 is powered by an Intel Core 2 Duo processor. It will run a full version of Windows 7 Home Premium. The Ep121 will have a embedded virtual keyboard or a special docking station of sorts, that essentially will turn it into a full laptop with keyboard. ASUS is pushing this model as a full PC in a tablet form, meaning it will have most of the basic ports that you would expect to find on a regular netbook. 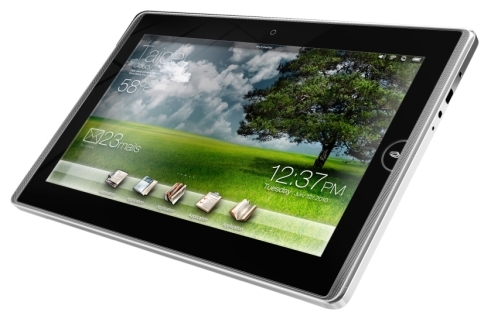 The Intel Core 2 Duo CULV processor will provide some serious speed for the overly large 12 inch tablet. The ASUS Ep101TC is the smaller of the two. It’s 10 inch tablet powered by the still buggy Nvidia Tegra chipset. The model more of specialized tablet, like the iPad is uses a non traditional operating system, something that is more optimized for a true tablet experience. The Ep101TC will run on a version of Windows Embedded Compact 7, which is what the new Windows Phone 7 OS is built of off. Its expected to have a 10-12 hour battery life, where as the 12 inch Ep121 will have around a 10 hour battery life under optimal conditions. Both are said to have some sort of custom, widget based ASUS touchscreen UI, but I don’t know the particulars of that right now. Prices will be between $399 and $499, and don’t expect to see either of these available until the beginning of 2011.